Printed cushion inspired by Japanese influences. 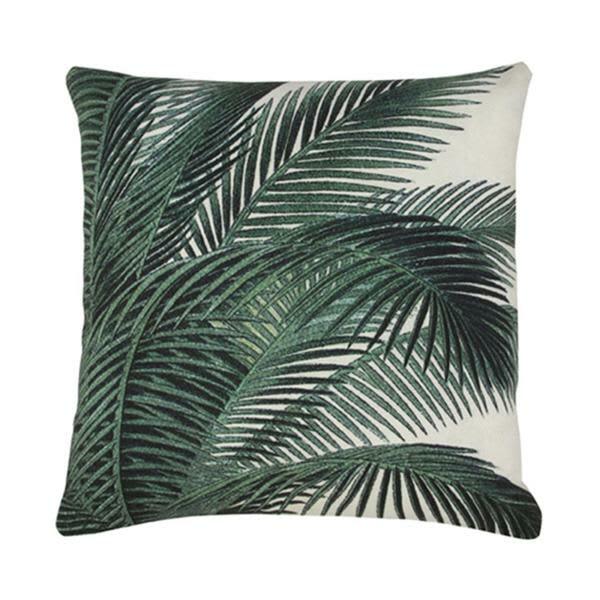 The pillow has a green palm leaves print on the front. Perfect for the lounge.